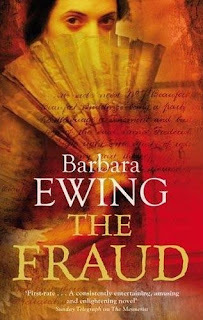 This one sounds good, but I've never read Barbara Ewing. Have any of you read her? Haven't heard of this author. Hmmmm. Looks like she's also written a novel called The Mesmerist and another called The Trespass, which has received good reviews. Interesting. I've never read this author, but the book sounds good...and the cover is striking. If you review it, I'll have to take a look. I've read The Trespass and a couple of Barbara Ewings contemporary novels and I would certainly recommend her. And this new bookcertainly looks interesting. I haven't heard of this author but the book sounds really good.